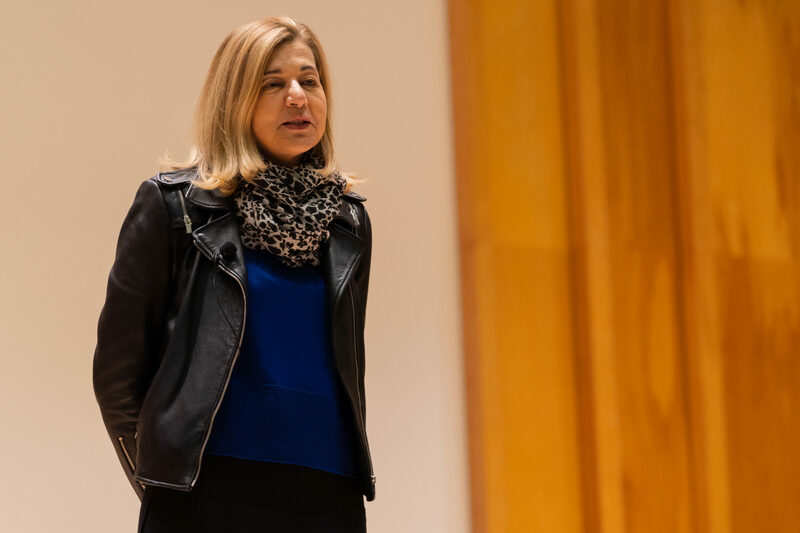 The “My Life As” speaker series, ran by the School of Journalism at Stony Brook University, has given students and faculty the opportunity to benefit from the experiences shared by prominent journalists such as Margaret Sullivan, Dean Baquet and Christiane Amanpour. But what does it take to make one of these nights happen? Maureen Robinson, staff assistant at the School of Journalism, shared the details of this responsibility. Robinson said that coordinating a “My Life As” lecture is a group effort. Her colleagues, Jennifer Carlino and Erika Karpf, have helped out with the planning and organization of the events, which have hosted one to three guests every semester. The “My Life As” program was started by Dean Howard Schneider. The first event’s guest was Moises Saman, a Peruvian-born documentary photographer, on Oct. 5, 2006. At the beginning of the semester, according to Robinson, they start identifying locations before even having guests lined up. When it comes to inviting them, Robinson says they start reaching out to recruits about two months in advance. “You have to be persistent just the same way a reporter has to be persistent,” Robinson said. Even though the faculty mainly recruits for this event, students can also suggest who they would like to see. Donovan Alexis, a junior journalism major, shared his perspective on the program and his favorite thing about it. Amath Thiam, a senior computer engineering major at Stony Brook University, said that this program paved the way for similar programs for engineering students. “I think it’s cool that the University puts us in touch with such prominent people in our fields; their experiences are inspiring and motivating,” Thiam said.